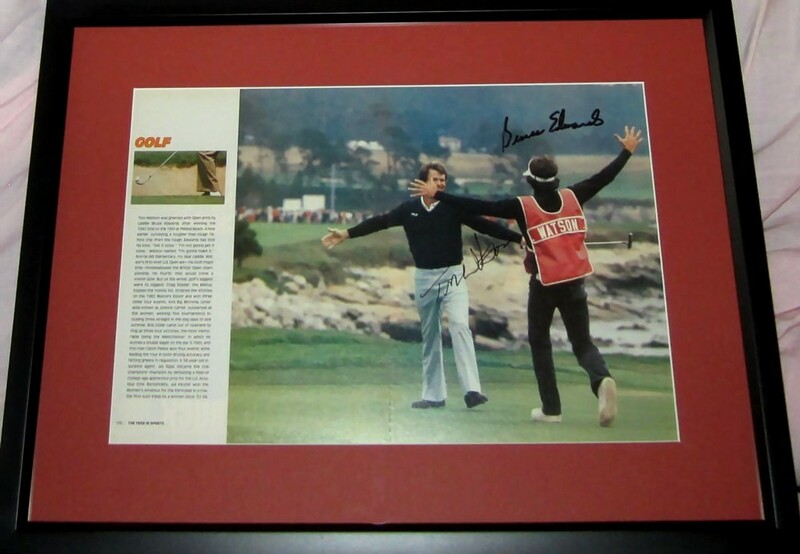 Sports Illustrated two-page spread featuring Tom Watson celebrating his dramatic 1982 U.S. Open victory at Pebble Beach with caddie Bruce Edwards, autographed in black marker by both Watson and Edwards (who passed away in 2004), professionally matted and framed, ready to hang. 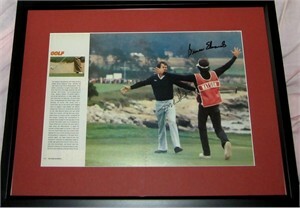 Obtained in person at the 2000 Hyundai Team Matches silly season event. With certificate of authenticity from AutographsForSale.com. ONLY ONE AVAILABLE FOR SALE.